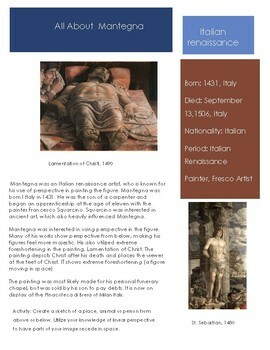 This sketchbook Prompt gives biographical information about Renaissance artist Mantegna. It focuses on his interest in perspective and foreshortening. It includes a sketch activity. Please use this resource for classroom, non commercial use only. Thanks!